Control and contain wastewater during decon operations with the DQE Standard Collection Pool. 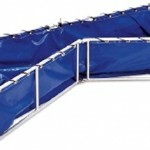 The 122cm x 244cm (4’x 8′) collection pool is ideal for your decontamination equipment. 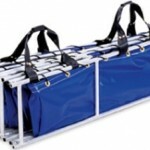 It is sturdy enough to support a patient on a backboard and can hold two DQE Standard Showers for dual decontamination. 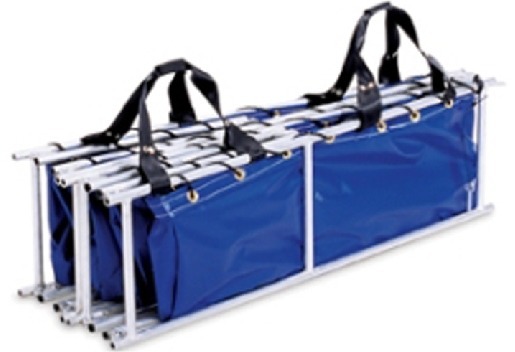 The pool folds for easy storage and features integrated carry handles for quick deployment. The sturdy frame deploys and collapses quickly for easy set-up and tear-down. Read the review for the Standard Collection Pool in the FEMA Technical Decontamination Support Systems Assessment Report. The decon pool received the highest evaluator scores in all categories including: deployability, capability, usability, affordability, and maintainability. Contact Liam at 021-463-8727 or Email: liam@finerfilters.com for more information on Decon Pools.